TORONTO (June 1, 2017) – The JUNO Awards and Slaight Music today announced that submissions are now open to Canada’s rising musical talent for the third annual Allan Slaight JUNO Master Class. Canada’s premier artist development program will provide three emerging Canadian artists the tools needed to amplify their careers with one-of-a-kind opportunities and lead them along a path to the JUNO Award stage. The Master Class includes a weeklong customized artist development program co-developed with Canada’s Music Incubator at Coalition Music. 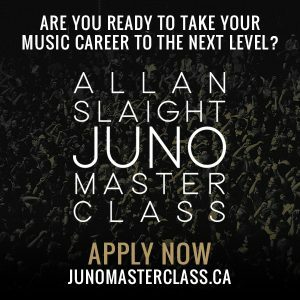 Artists interested in participating in the 2018 Allan Slaight JUNO Master Class can apply at junomasterclass.ca by June 30, 2017. There are no fees associated with submissions, and applications require a CARAS Academy Delegate endorsement. 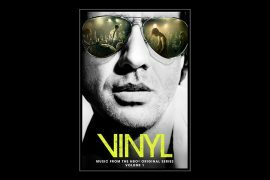 Click here to watch the 2018 submissions video. Canadian music industry leaders, including representatives from major and independent music labels, publishers, agents, managers and media partners, vote to determine the Top 10 artists, which will be announced in August 2017. Three winners will then be determined by the 2018 Super Jury, which includes JUNO Award-winning artists Lights, Max Kerman (of Arkells), and Kardinal Offishall, JUNO Award-winning producer Gavin Brown, Talent Development Coordinator at Slaight MusicAli Slaight, and President and CEO of CARAS/The JUNO Awards & MusiCounts Allan Reid. Announced in September 2017, the three winning artists will receive hands-on mentoring, education and skills training, development, networking and collaboration opportunities, an all-inclusive trip to Toronto for an intensive mentorship week with Canada’s Music Incubator at Coalition Music that culminates with a music industry showcase night in Toronto. 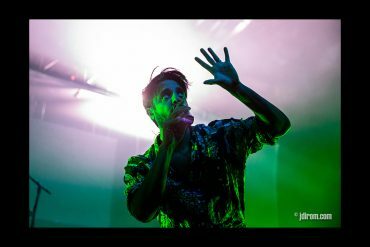 They will also receive a trip to the 2018 JUNO Awards in Vancouver, complete with tickets to JUNO Week events and a showcase opportunity during JUNOfest; a docu-series capturing their journey to run on JUNOTV.ca; studio time at Slaight Music Recording Studios, and more! The program serves as a bridge between two key pillars of CARAS; music education through MusiCounts and the celebration and promotion of music excellence through The JUNO Awards. The 2017 Allan Slaight JUNO Master Class winners include Vancouver-based indie-rock group Youngblood, Nova Scotia’s pop-electronic group Neon Dreams, as well as Winnipeg’s hip hop ensemble The Lytics. 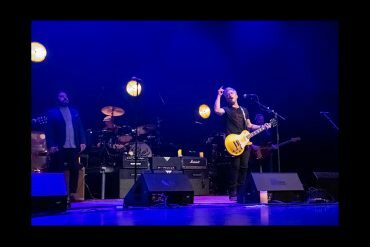 Click here to watch the 2017 Master Class wrap up video. 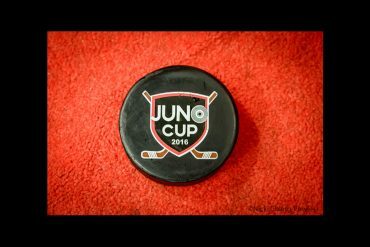 For additional information on the program, visit www.junomasterclass.ca. Partners of the 2018 Allan Slaight JUNO Master Class are Slaight Music, Canada’s Music Incubator at Coalition Music, Manitoba Film and Music, and the Canadian Federation of Musicians (CFM). The Allan Slaight JUNO Master Class is an initiative that provides the crucial tools to help the three winners develop their careers, build their own sustainable business and become ‘JUNO ready’. The ‘Master Class’ includes a week-long customized artist development program co-developed with Canada’s Music Incubator at Coalition Music. This development program provides hands-on mentoring, networking and collaboration opportunities. The Canadian Academy of Recording Arts and Sciences/L’académie canadienne des arts et des sciences de l’enregistrement (CARAS) is a not-for-profit organization created to preserve and enhance the Canadian music industry and to contribute toward higher artistic and industry standards. The main focus of CARAS is the exploration and development of ongoing opportunities to showcase and promote Canadian artists and music through vehicles such as The JUNO Awards and other year-round initiatives. 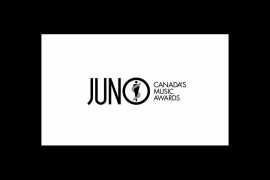 For more information on the JUNO Awards or The Canadian Academy of Recording Arts and Sciences (CARAS) please visit www.junoawards.ca. A pioneer of rock and roll, Allan parlayed his entrepreneurial flair with his knowledge of radio to create Canada’s largest privately owned multi-media company, Standard Broadcasting Corporation Limited. Born in 1931, Allan hosted his own radio program, Spins and Needles, a late night jazz program, at age 16 at CHAB in Moose Jaw, Saskatchewan. He moved to Edmonton in 1950, working his way up the ladder being appointed in 1956 as the National Sales Manager at CHED. There he came to the attention Allan Waters, owner of CHUM Radio in Toronto, who hired Allan to turn around the fortunes of his struggling station. Allan’s programming, promotions, and business acumen propelled CHUM into a household name. Allan left the station in 1966 to coordinate programming and sales of Radio Caroline, the infamous pirate radio station. He returned to Canada in 1967, to become the President and General Manager of Stephens and Towndrow. In 1970, Allan established Slaight Communications and acquired radio stations CFGM in Toronto and CFOX in Montreal. In 1977, Allan launched a new rock and roll radio station, CILQ-FM, known as Q107, in Toronto. In 1985, Slaight Communications sold CFGM and Q107, and purchased Standard Broadcasting Corporation Limited from Conrad Black. Under Allan’s leadership, Standard Broadcasting and Standard Radio grew from seven radio stations to a national network of over fifty. In 2007, the Slaight’s sold Standard Broadcasting to Astral Media. Radio was not Allan’s only passion. He served as a trustee of Women’s College Hospital (1978- 1982), a director of the United Way of Greater Toronto (1979-1987), director of the Shaw Festival (1982-1988), a governor of York University (1986-1987), and a director of the Festival of Festival (1989-1993). An inductee into the Broadcast Hall of Fame (1997), the recipient of an Honorary Doctor of Commerce from Ryerson Polytechnic University (2000), appointed a Member of the Order of Canada (2001), the recipient of the Walt Grealis Special Achievement Award (2005) for his contribution to the growth and development of the Canadian music industry, Allan has also maintained a lifelong interest in conjuring. Slaight Music was started in 2011 with a mandate to support the Canadian music community through a variety of initiatives, and to develop Canadian talent via strategic partnerships with industry peers. Canada’s Music Incubator (CMI) is a national not-for-profit organization based in Toronto providing customized and ongoing mentorship to professional artists and managers. Using the pillars of mentoring, collaboration and industry connectivity, our mission is to empower these creative entrepreneurs in the development of sustainable careers and businesses which meet their definitions of success. Since 2012, CMI has provided over 5,000 hours of professional development and mentored over 400 artists and managers spanning all genres of music across Canada. CMI has also facilitated artist and manager connections with hundreds of active music industry professionals in Canada and internationally. CMI partners include Bell Media, TD Bank Group, the City of Toronto, CARAS/The JUNO Awards, the Government of Canada, the Canadian Country Music Association, Coalition Music and provincial music industry associations, among many others. 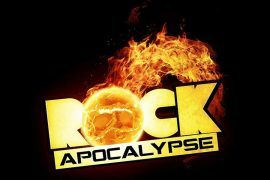 Next articleAftershock 2017 Line-Up Announced!